I'm having fun with the titles this week, can you tell? What does the fruit on the left have in common with the fruit on the right? 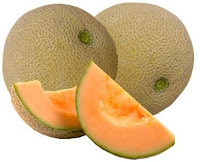 Sure we all know the picture on the left and the one on the right are both pictures of melons. We also know that they have exterior rinds that aren't usually eaten. As long as you're not blind (and even if you are?) you'd probably also observe they're both roundish shaped. You've got the A+ so far if you already knew these 3 facts, by the way, so good job to you. However, what some people don't know is that if you repeat there names over & over in sequence while singing a song (and don't actually "say" their names), you will look like you know each and every word to said song. Honest - I have tested & proven this theory. Now, if you happen to find yourself in the company of someone who is deaf and/or someone who is a lip reader, this tactic will not be very impressive. As a matter of fact, it might confuse the heck out of them, so be warned. However, if you are in the company of good friends who might have had a drink or two you're in good hands they will be thoroughly impressed when the DJ spins some ridiculously fast rap song and you know each and every word. Other instances when this comes into handy, you ask? Don't know the words to that new song that just came on the radio? Watermelon cantaloupe. You go to a concert and didn't have time to pick up the artist's CD? Watermelon cantaloupe. You're singing in a choir and forgot to learn each song before the big performance? Watermelon cantaloupe. You're sitting in your planning room with the music turned down low? Wouldn't trust it. You're in the company of a lip reader of any sort? 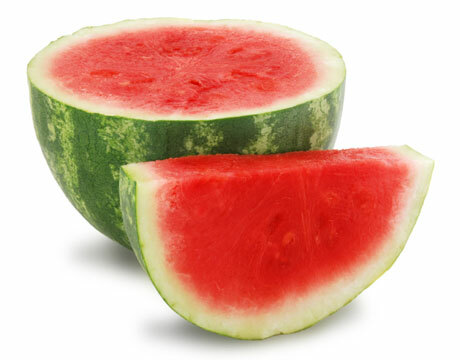 You might find yourself getting a watermelon and or cantaloupe present the next time you see them. Thus making the watermelon cantaloupe plan backfire, but in a good way. Everyone else stops singing and/or the music turns off and you get an unexpected a capella solo? er... watermelon cantaloupe. Really, go try it out. And then report back. I'm dying to know if the group of friends I was with when I pulled this bad boy out was drunk/blind/ignoring me or if you can fool some of your friends, too. Maybe practice once or twice in the mirror first, though. That might help. I do this ALL the time. Love it.